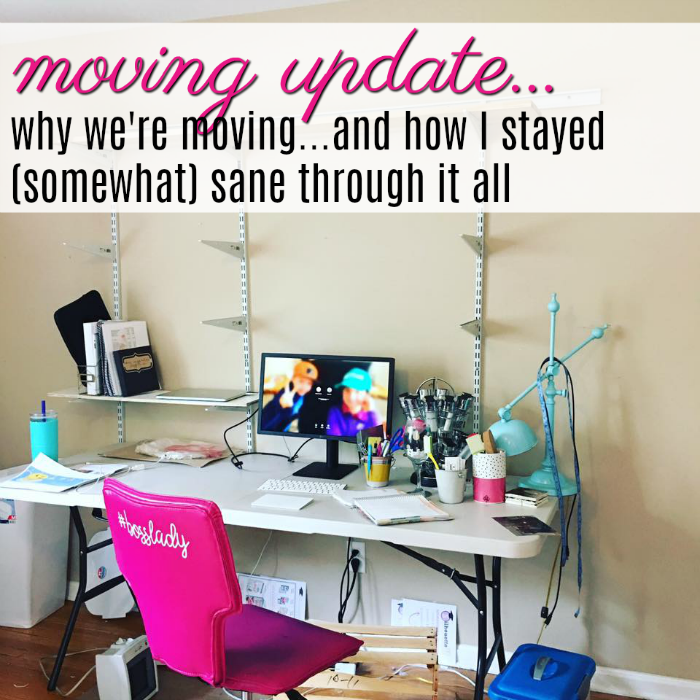 Moving Update...'Cause the Questions Keep on Coming (and the Emotions are High)! 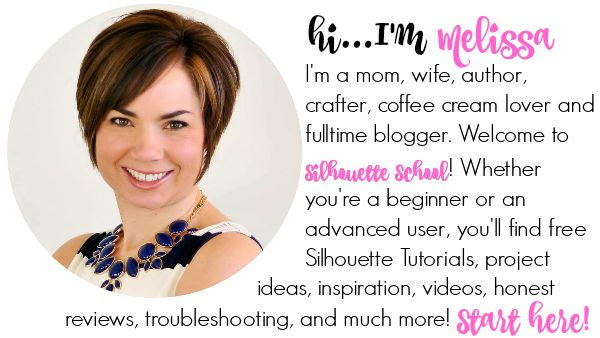 Today I'm taking a break from what I normally do here on Silhouette School - teaching you how to use your Silhouette cutting machines and the software - to take you on a little behind the scenes detour. I've made it no secret we're moving...in fact we're making a huge move from the East Coast to the West Coast. It's been months...literally MONTHS of planning, organizing, logistics, even some tears, frustrations, a lot of excitement and a million and one questions. So...prepare yourselves because emotional ol' me is having trouble not rambling as I reminisce. As two 28' U-Pack trailers head west with the entire contents of our home and business in them, I sit here finally taking a big, deep, sigh of relief fully confident our 'stuff' and our 'livelihood' is in good hands. That re-assurance is what's helped keep me (somewhat sane) through this otherwise stressful process. All that's left to do now is meet it all in California and begin the next chapter. Several moves were for job transfers and therefore we had corporate moving. But this time it was 100% on us. When you work for yourselves there's no relocation package or moving stipend although we were thrilled to partner with U-Pack for this move! I have actually used U-Pack twice before - to move to and from Fargo, North Dakota (and back to the East Coast). So late last year after we had sold our house - in one day with six offers - and closed on the new construction house in a new planned community called Rancho Mission Viejo in Orange County, California it was a no brainer to use U-Pack again to move. 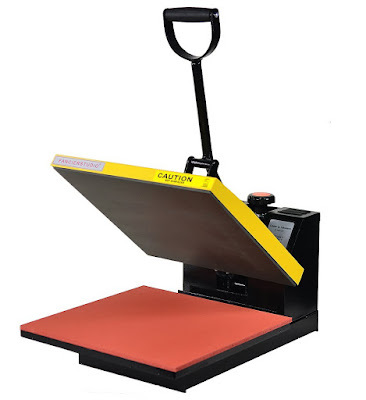 The cost to physically move with U-Pack is much more affordable and you pay only for the space you use - even if it's less than the estimated space needed. For a huge cross country move like this it would have cost us at least two to two and a half times as much using a full service mover. 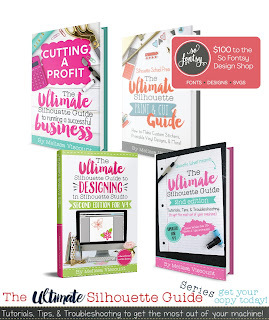 I'm not afraid of rolling up my sleeves and getting back to my DIY roots to make it happen! 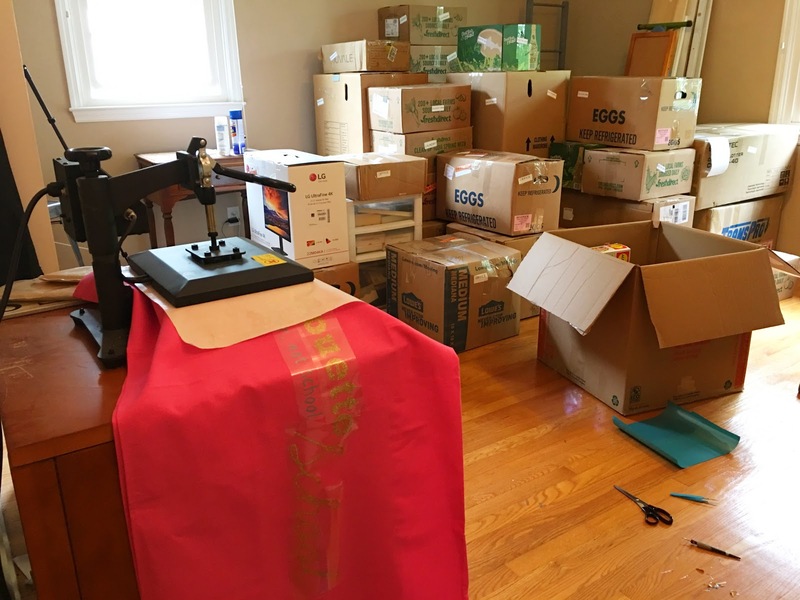 During the six months we rented our Delaware home back (in an effort to prepare the business to make such a huge move without any interruption and to let the kids finish the school year), I had plenty of time to purge, organize, and pack the house and craft room/office! So when the two trailers showed up in our driveway last week I loaded the first few boxes (geared up in my moving uniform lol)...and then handed it over to the local moving crew we hired to do the heavy lifting. Two days later U-Pack picked up the trailers - heat presses, three CAMEOS marked with an over abundance of fragile stickers, and all - and headed west. So....why California? Well guys...we're honestly just going on an adventure. Bob's been wanting to move to California for a long time and I've been holding out. 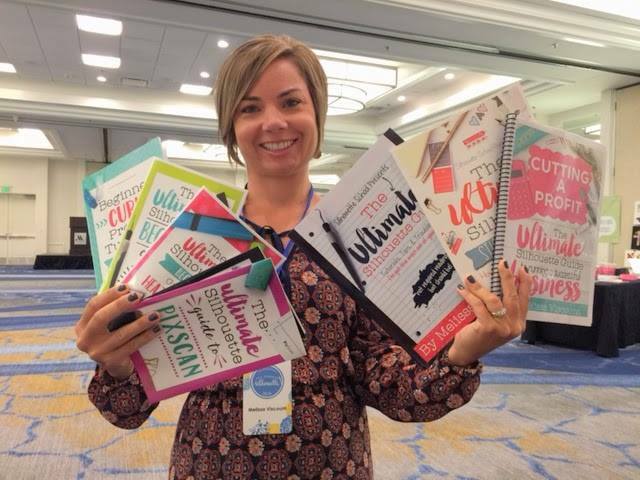 After speaking at All Things Silhouette last summer in Newport Beach, CA, I gotta admit I love it more than I wanted to love it. I know all the things...I know you pay (a lot) for sunshine in California and the taxes are more and the housing is more and the traffic is more...and and and...but I also know that we work really, really hard and we want to enjoy this time in our lives a little more. We think California is the place we can do that. It's not for everyone and maybe it won't be for us forever, but right now this is where we want to be. Bob and I both grew up in Delaware. Our family is still in Delaware and we have wonderful friends in Delaware. It's been nice to be 'home' for the last 6 years and I would be lying if I said it isn't hard to leave all of that. I LOVED our house in Delaware. I thought that was our forever home and I treated it that way - doing renovations there as recently as a month before we put it on the market last October. I started Silhouette School at that house while staying home to raise our children. 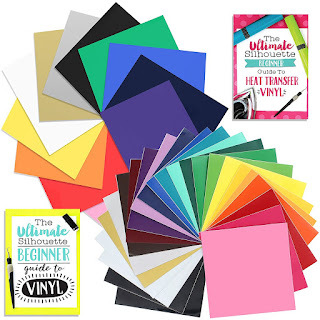 In fact, in another ironic twist, on the day we moved out, I sat on the floor with my laptop in my lap working on the final push to get the new edition of The Ultimate Silhouette Guide for V4 out. 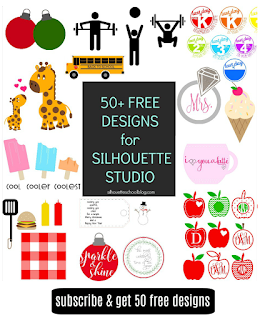 I was sitting in pretty much the very same spot where I started this little side blog Silhouette School on a whim in January 2014. Only then I was actually in a chair! 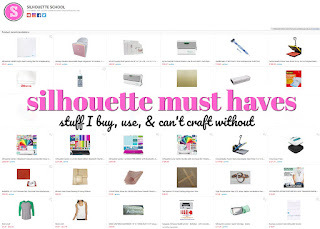 Three and a half years after hitting publish on that first Silhouette School Blog post, I had completely taken over the guest room and Bob had left his career in pharmaceuticals to help me run this big crazy thing that now supports our entire family. This blog that's given us so many opportunities including the freedom to live and work anywhere! This blog that will allow us to return to Delaware every summer for a month or so - because we have the flexibility to work anywhere there's wifi (and we never stop...not even on moving day!). 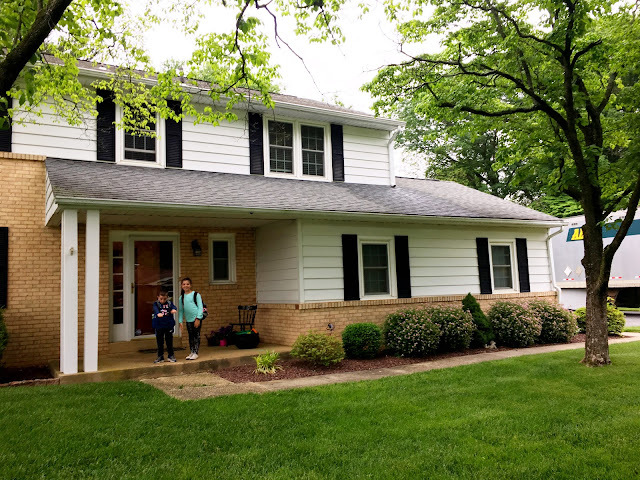 And so...as I sit here on June 2nd writing this at my in law's dining room in the house where Bob grew up (while we make a two week pit stop waiting for the kids to finish school), I am wiping away tears. It is sad. It is exciting. It is stressful. It is emotional. It gives me all the feels. Months of planning, stress, and logistics are behind us now though and I still have my sanity. A big, exciting, and scary change is ahead as we move our family and our business into our new home and onto our next adventure. I truly want to thank you all for your thoughts, support, and even emails of encouragement. Some of you have reached to welcome us to California and wish us well during our move and you have no idea who much that means to us as we set off on our next life adventure. 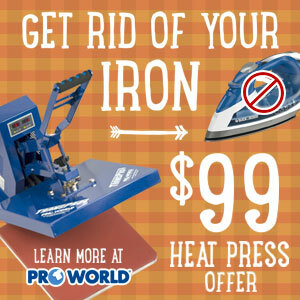 Disclaimer: We were compensated by U-Pack for this feature, but all opinions are 100% my own. Oh I love this! Good for you and your family! Enjoy every moment of this new adventure you are on!